Determining the structure of a virus is an important step in understanding and treating viral disease. For decades, structural biologists have been using cryo-electron microscopy to create increasingly accurate pictures of biomolecules, but one of the assumptions they’ve been relying on could be wrong. 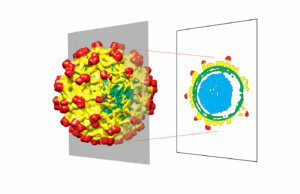 Flaviviruses, such as dengue and Zika, were assumed to be symmetrical icosahedrons (shapes with 20 identical faces) based on data from microscopes. But these icosahedral viruses might not be perfectly symmetrical after all, according to a new study in the journal Proceedings of the National Academy of Sciences. 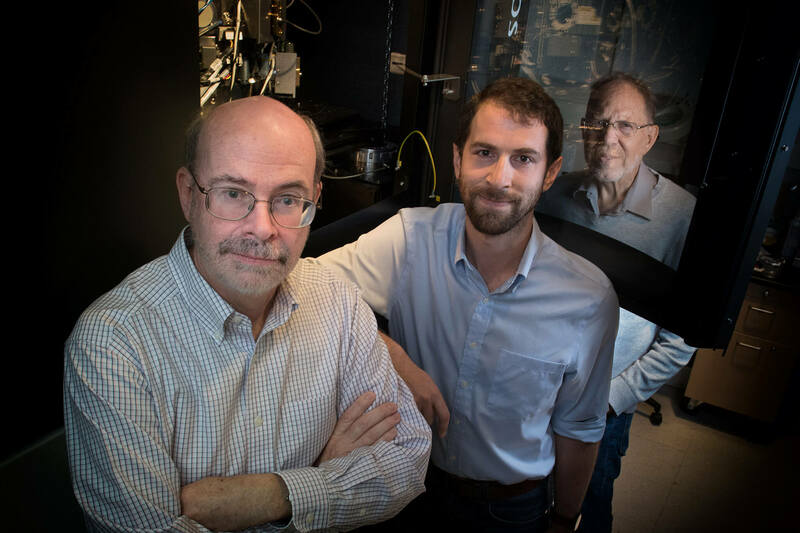 The research team, including Richard Kuhn, the Trent and Judith Anderson Distinguished Professor of Science at Purdue, used cryo-EM to determine the structures of immature and mature Kunjin virus, a strain of West Nile virus. They followed standard procedures until the end, when data from the microscope is processed to generate a structure. Where they would normally apply a symmetry requirement, the researchers opted out. Matthew Therkelsen, a graduate researcher at Purdue and lead author of the paper, first noticed something unusual when he was determining the structure of an antibody bound to the immature virus. Images of the antibody bound to the virus showed a preference for one side of the particle, and that side was a little fuzzy. What he found looked sort of like a “belly button” on the exterior of the virus. This deviation in symmetry could come from the way the virus is produced. When enveloped viruses are assembling new virus particles, they burrow into a cellular membrane and push until they’ve created their own protective layer. When this layer is almost fully enclosed, the virus gives one final nudge and buds from the membrane. The researchers think it’s at this point, where the new virus membrane is attempting to close, that the virus’ previously perfect structure gets a little distorted. While both the immature and mature virus had “belly buttons” on their outer layer, the immature virus had another flaw. The core structure of the virus, the nucleocapsid, isn’t in the center of the envelope – it comes closer to the membrane on one side. Some other viruses have uniquely positioned cores, but the flavivirus core is unique because it repositions as the virus becomes an “adult.” Maturation is an important part of the viral life cycle, and these findings could provide insight into what’s going on during this process and why. The researchers believe these findings will open the door to future experiments. In addition to the true structures of several, if not all, icosahedral viruses, there are many other unknowns. Does the unique pole of the virus have a function when it binds to the next cell? Does it facilitate binding to the receptor? Does it influence the exit of the RNA on the inside? These details are all important to understanding the life cycle of flaviviruses.